Over the past few years that has been a lot of talk about ‘sustainable landscapes’, and we are sure this will continue for years to come. Here we will give some quick points on what sustainable landscaping is, and how you can make your landscape more environmentally friendly. Sustainable landscapes are responsive to the environment while actively contributing to the development of healthy communities. These landscapes clean the air and water, increase energy efficiency, restore natural habitats, and have huge beneficial impacts on the environment. 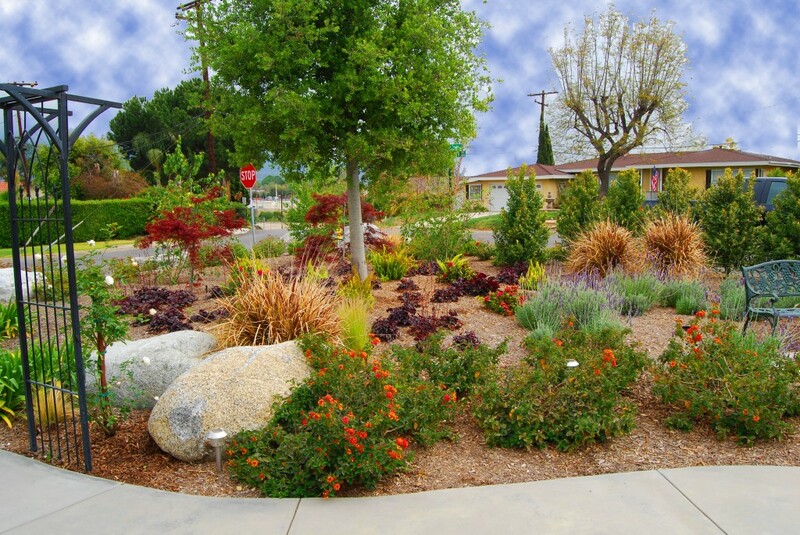 The main goal of sustainable landscaping is to conserve water and energy, while reducing waste and decreasing runoff. Problem: Fresh water is a limited resource, out of the small 2.5% of fresh water on this planet, only 0.3% is readily available. Unnecessary irrigation contributes to one-third of residential water use in the United States, while rainwater is treated as waste by flowing through gutters and into sewers. 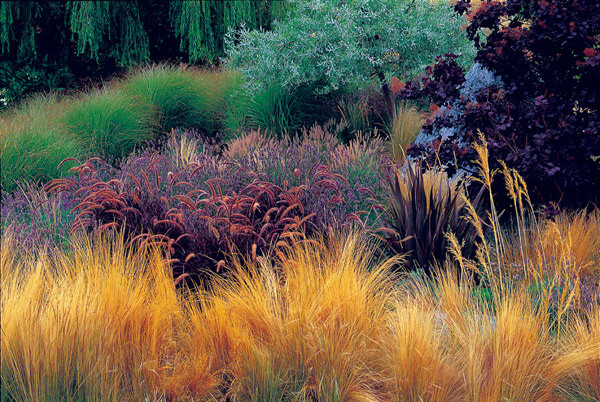 Solution: With proper design and plant selection, the need for irrigation can be reduced or eliminated. A rainwater harvesting system can be added to capture storm water on site and used for irrigation purposes. Water features are also very beneficial to the local environment. Problem: When a new landscaping project is underway, many homeowners want all the existing plants to be removed for a fresh start. This can disrupt the natural process occurring in the yard. Solution: Instead of scrapping everything, take a look at what native plants are in your existing landscape. After looking over your landscape, decide what should stay (native to the area or any that are environmentally beneficial) and what should go (any invasive plants should be removed). With the plants you removed, replace them with more appropriate choices. Problem: A typical landscape can produce high amounts of waste and many materials that are used are energy intensive and may be transported from hundreds or even thousands of miles away. Solution: Reduce yard waste by selecting appropriate sized plants and try to reuse or recycle any waste. Building materials are better off being locally sourced whenever possible. Our goal is to provide landscapes that require less maintenance, reduce environmental harm, benefit wildlife, provide seasonal interest, use native plants, and encourage the use of local, renewable, and recyclable materials.